Towns and cities rely heavily on state funding to provide K-12 education. There’s a lot of different funding streams through which that aid flows. But the one that gets the most attention is the Education Cost Sharing (ECS) grant program, notes Connecticut Mirror schools and child welfare reporter Jacqueline Rabe Thomas. She speaks with Jeff Cohen, Connecticut Public Radio’s news director, for our ongoing Extra Credit series on civics. 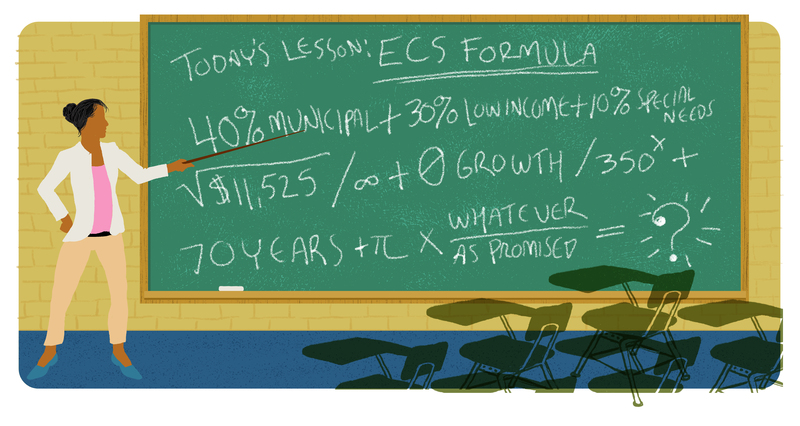 The formula on which ECS grants are based, Thomas explains, is derived more from how much money the state has than how much it actually costs to educate a child. Factors such as a school district’s number of low-income students or English-language learners are considered when adding to a grant’s base amount. But, Thomas points out, only twice over the last 20 years has the state actually allocated what the formula called for. Municipal angst, she adds, grows when the state legislature promises Education Cost Sharing increases in future years and then, due to budgetary constraints, can’t deliver on that promise when the time comes.